On Monday I got lost in the old city. 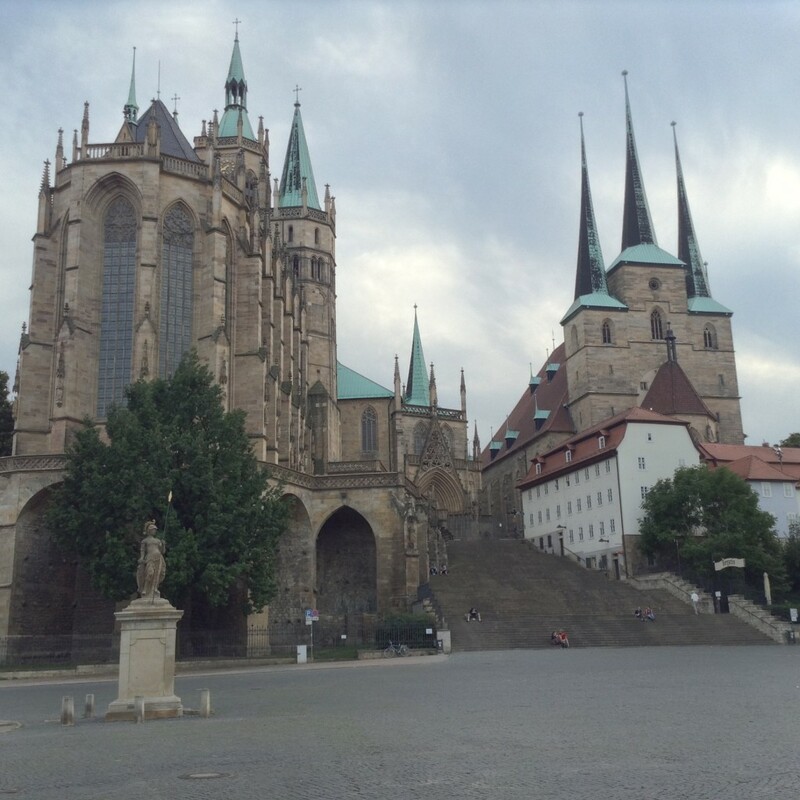 By chance I stumbled across the Predigerkirche. An organ practice drew my attention, and there’s a little sample below. The church also had a little poster exhibit about Meister Eckhart. A good bit of luck to discover this building! On a different note, I am sure lots of conference participants have gone by the following poster on the tram. It’s very near the campus, where the conference is taking place. 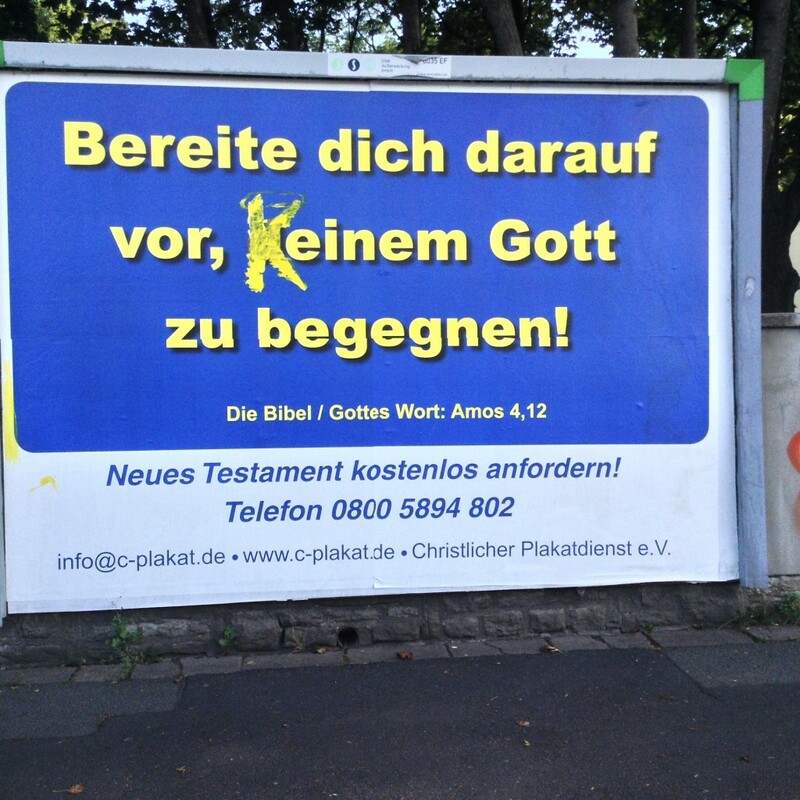 The poster is intended as an ad sponsored by the Christian Poster Service (Christlicher Plakatdienst), and it should translate as “Prepare to meet your God.” However, since “Deinem” has been changed to “keinem,” it reads: “Prepare to meet no God.” To make the modification more interesting, someone (the original defacer?) has added what looks to me to be a halo over the “k”.